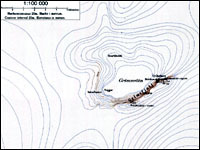 5660 ft (1725 m) . 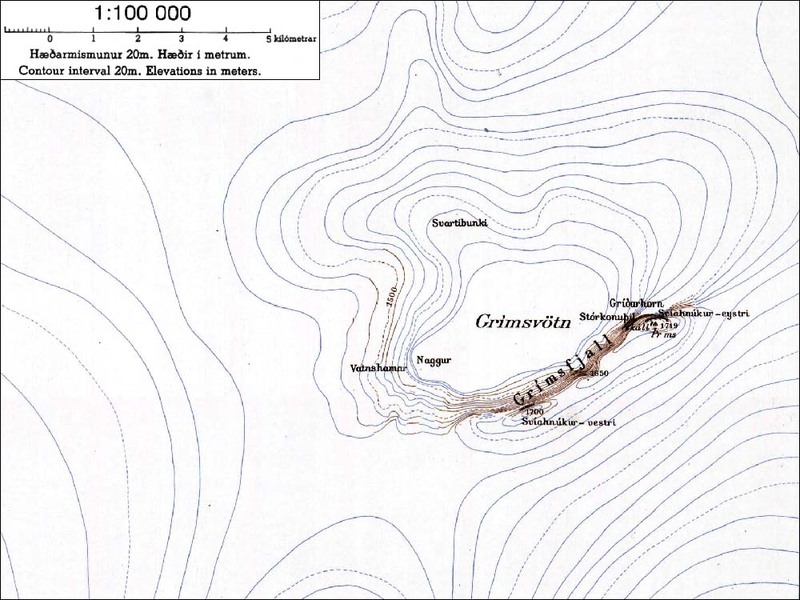 Grimsvotn is basically just an enormous pit, a 5 mile (8 km) diameter caldera located near the center of the Vatnajokull icefield. 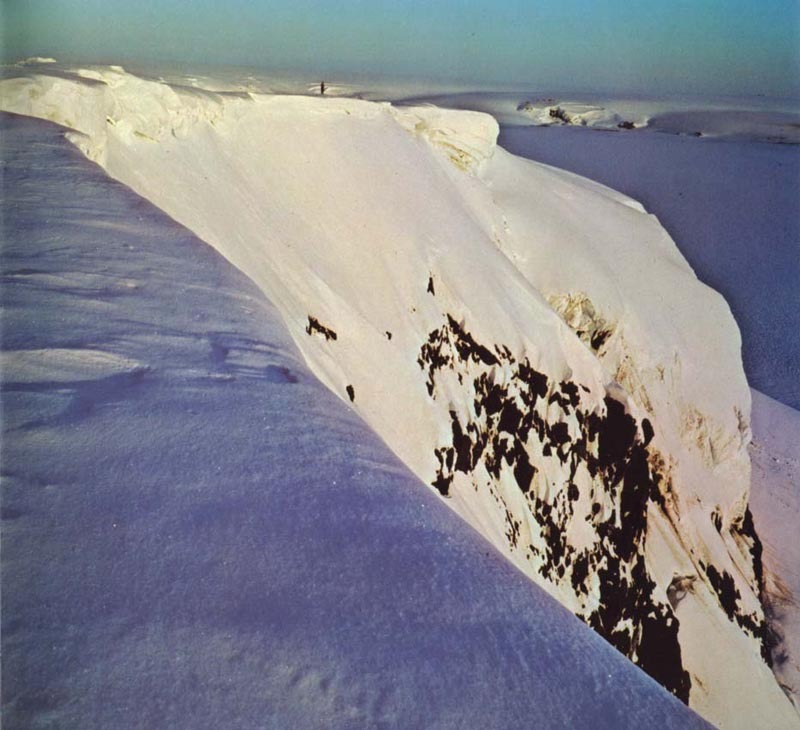 An ice-covered lake fills the lowest southern part of the caldera, and the steep escarpment of Grimsfjall rises over 1200 ft (360 m) above it to the summit. 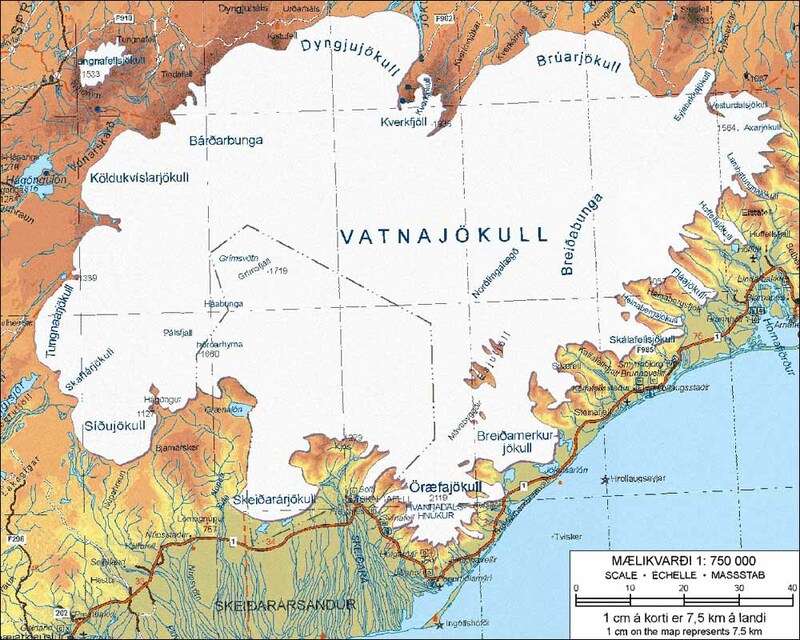 Vatnajokull is the largest icefield in Europe, over 3200 square miles (8300 sq km) in area, and the traverse on skis is a classic multiday adventure. 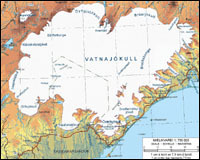 The north-south distance is about 50 miles (80 km), while east-west it is over 75 miles (120 km), and the several possible traverse routes all converge at a hut located on Grimsfjall. 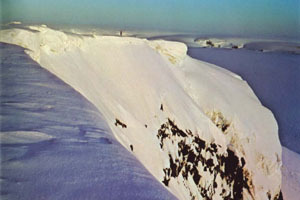 Several other huts are located near the north, south, east, and west edges of the icefield for use by traverse expeditions.